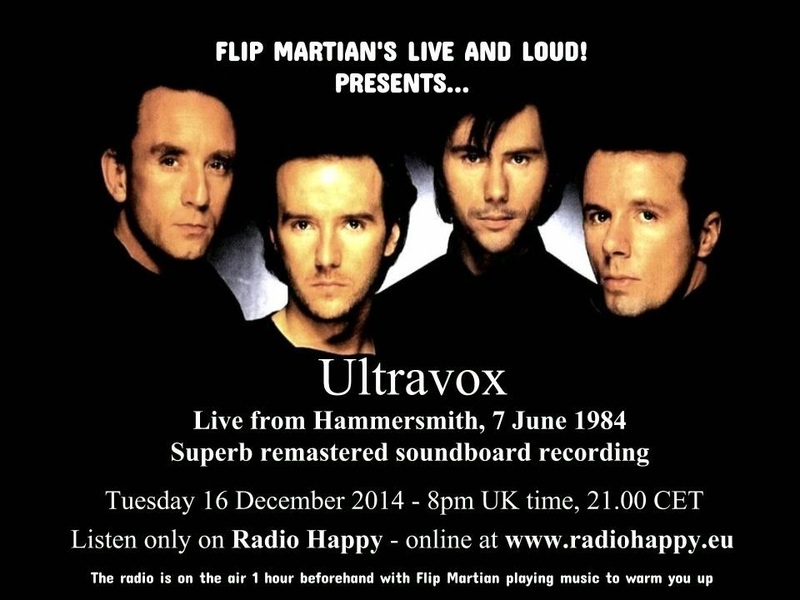 A bit of a special gig for me as the first time I saw Ultravox was by attending all 5 nights at the Hammersmith Odeon in June 1984. This is by far the best recording from that tour that exists - but sadly its not complete. Taken directly from the soundboard in stereo on the night, the recording stopped after One Small Day - just as they segued into Hymn. Also missing are The Voice, and the encore songs Lament, Dancing With Tears In My Eyes and All Stood Still. That said, what IS here is superb and remastering has really paid dividends, sorting out the majority of noises, clicks, tape deterioration, with EQ to bring the best out of the sound. This is stored on mixcloud HERE, where it can be streamed at any time. While preparing this old show as separate files for a donator to the site, I found I could now improve the sound quality further, over what I’d originally done to the recording several years ago. You can now download this new version (as of 2018) HERE as 1 new 320kbps MP3 file. If you would like to have separate tagged MP3s, or even lossless files in FLAC format of the new version, head on over to the Donations tab to see how you can obtain these for a very small donation towards the site costs. Darn Tootin' I'll download that! Thank you so much. I just bought their reunion show, and have been enjoying it lots, this will be a treat. I love the Midge Ure era Ultravox....greatest band ever! Big lifetime regret that I never got to see them live! This is a great set..thank you!